Hiroshi Hoshina was born in 1936 in Tokyo. He studied composition at the Tokyo National University of Fine Arts and Music, where his thesis won first prize for orchestral composition at the Mainichi-Classic Competition. 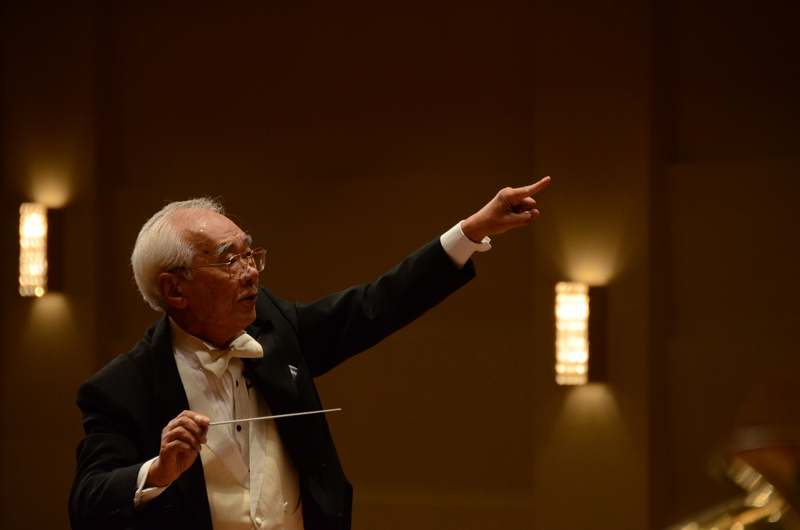 He has composed many pieces for orchestra, wind orchestra, opera, instrumental solos, and chamber music and is regarded as one of the most distinguished wind composers in Japan. Some of his most acclaimed works, such as “Koshi” and “Ceremonial Dance,” which were originally composed for orchestra, have been arranged for wind band. In 2009, Hoshina’s “Miko Dance” (originally composed for solo horn and orchestra, but arranged for solo horn and piano and published by Editions BIM) was chosen as a compulsory piano piece for the final round at the 20° Concorso Internazionale “CITTÀ DI PORCIA”. Hoshina’s music is often regarded as on influence of French impressionist, yet his works creates an aura of Japanese atmosphere. Throughout his career as a composer, he concluded to stop exploring contemporary and experimental music and to search for further possibility of tonal music. His music is natural and sounds easy for performing, however, many players include professional performers mention how Hoshina’s music has depths and not easy to reach their goal. From the very beginning, teaching amateur musicians was one of the most important aspects of his work. 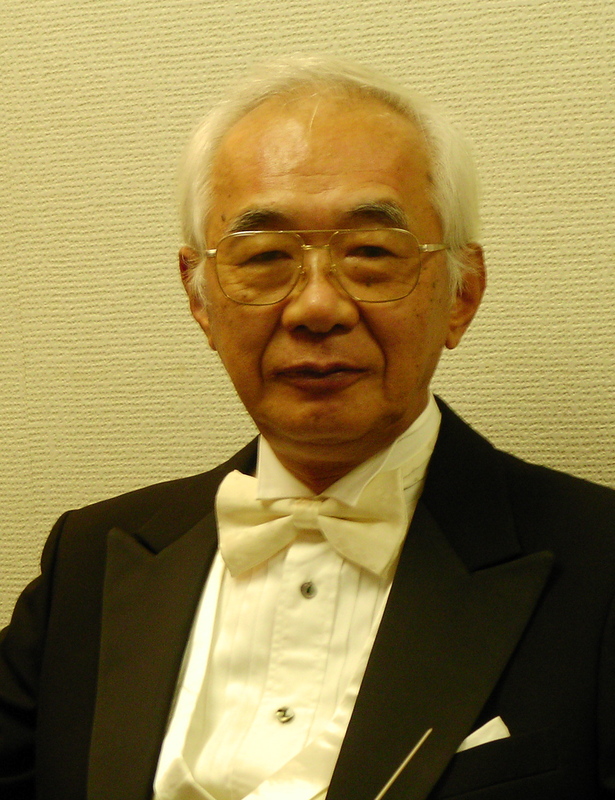 He has been resident conductor at Okayama University Symphony Orchestra for over 45 years. Through his continuing efforts with the orchestra, he has developed a unique and unified method for musical analysis, interpretation, and performance. This methodology works remarkably well for musicians starting out in school brass bands, community orchestras, or wind orchestras. Hoshina’s methodology and expertise fueled his activity as a conductor, clinician and author. During his distinguished career, Hoshisha taught at Tokyo Collage of Music, Aichi Prefectural University of Fine Arts and Music, and Hyogo University of Teacher Education where he retired in 2001. Ceremonial Dance "At an open window of a church" from "Three Chorals"
CD “Hoshina Matsuri” (Hoshina Festival) releases on Apr. 27! FuMon, Mnémosyne for Orchestra Lovely orchestra pieces with impressional melody and French-Japanese sounds. Perfect for short program or encole in your concert. SONATINA (wood quintet) A rylical music with spiritoso rhythms and beautiful melodys. Good music for ensemble contests. FANTASIA FOUR SEASONS (Chorus & Piano) Medley of beautiful Japanese well-known songs. Also available with accompanied orchestra or wind orchestra.